This forecast was published 03/24/2019 at 7:07 AM. 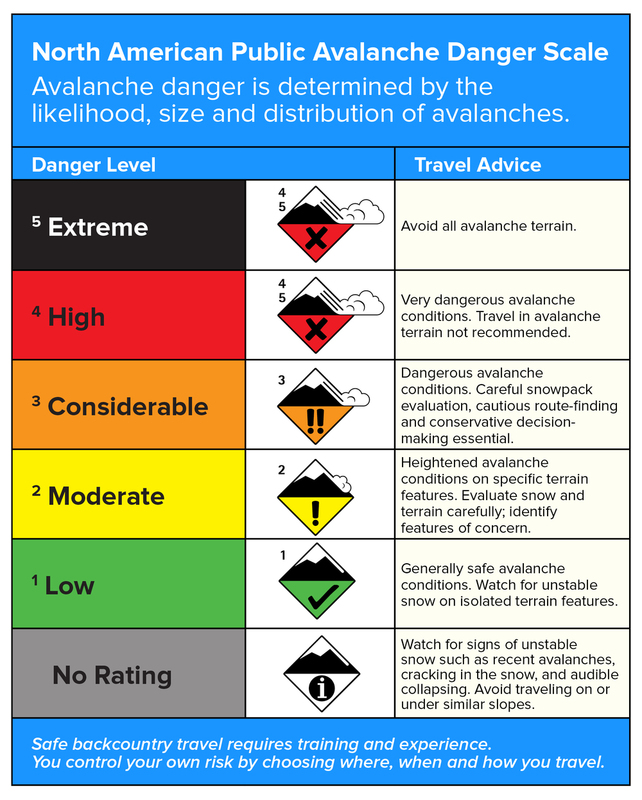 This is an archived avalanche forecast and expired on 03/24/2019 at midnight. The old adage about maritime snowpacks says that avalanche danger is quick to rise and quick to fall. The recent storm and our current weather reflect that saying well. 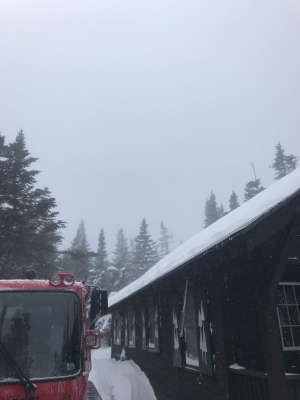 While today is definitely not a day to ski sunny, spring corn snow, the well prepared, winter backcountry skier may find smooth, dry snow if they can tolerate the strong wind. Ski one at a time and reduce your exposure to the stubborn wind slabs that are large in some areas. Human triggered avalanches remain possible in all forecast areas which have a MODERATE avalanche danger today. 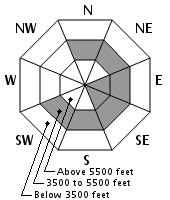 The northern gullies in Huntington Ravine have LOW avalanche danger due to exposure to scouring winds. 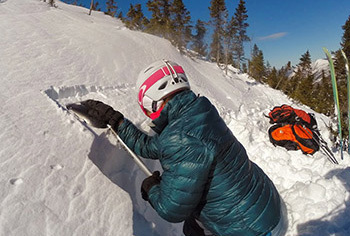 Avoid areas of hollow sounding snow to reduce your risk of triggering an avalanche. Twenty inches of new snow fell at higher elevations since Friday morning with around 3” of that total falling yesterday. The new snow was followed by NW wind yesterday averaging 74 mph with 12 hours of gusts over 90 mph. Today will start out clear and sunny with summit winds remaining around 70 mph before diminishing in the afternoon to the 50-60 mph range. 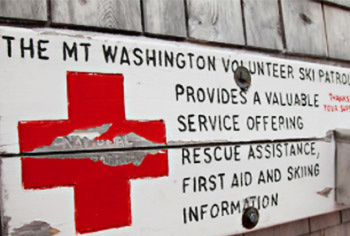 Temperatures should quickly warm from the current 5F to near 20F on the summit and high 20’s F at Ravine elevations. Thick but stubborn wind slabs can be found in areas not scoured by strong NW winds. You’ll find these wind slabs on steep slopes on many aspects due to the wraparound winds that accompanied Friday’s storm. The largest of these slabs will be found on east facing terrain such as across the Headwall of Tuckerman Ravine and Gulf of Slides. 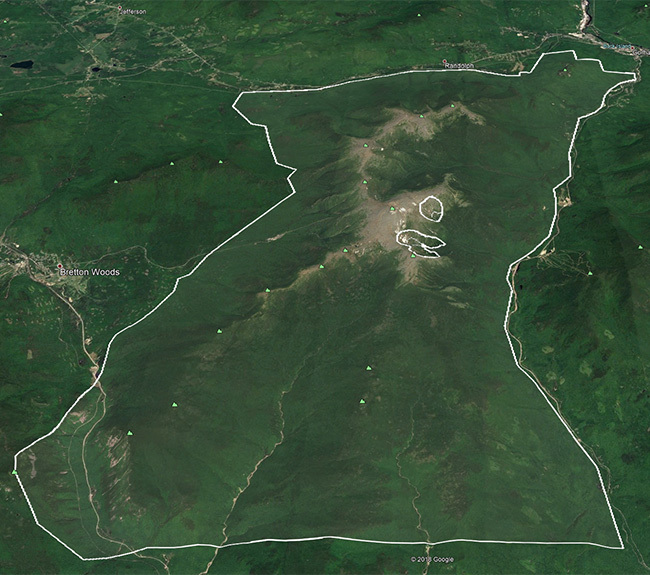 Gusty winds also created slabs at lower elevations though these will be much smaller. Snow at lower elevations was wet and dense. Higher elevation snow, at around 4,000’, was dry and around the same density (7%) as a typical mid-winter storm. This means it was easily transported by the wind speeds that higher elevation areas were exposed to yesterday. Wind transport has, by and large, shut-off since last night though limited loading could still happen, especially this morning. Peak natural avalanche activity likely occurred overnight Friday and into Saturday morning. High winds since then refreshed slopes with firm wind slabs that are likely to be stubborn, if not unreactive, to a human trigger. 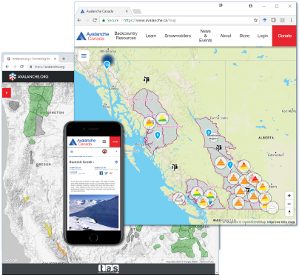 We’ll post observations of avalanche activity, if any crowns or debris remain visible after the wind yesterday, on our observations page here. Please do the same if you see debris or crowns today. This photo of Hillman’s and Boott Spur from Hermit Lake demonstrates the kind of visibility available on Saturday. Posted 03/24/2019 at 7:07 AM.